Do not let anyone on your roof with a pressure washer! 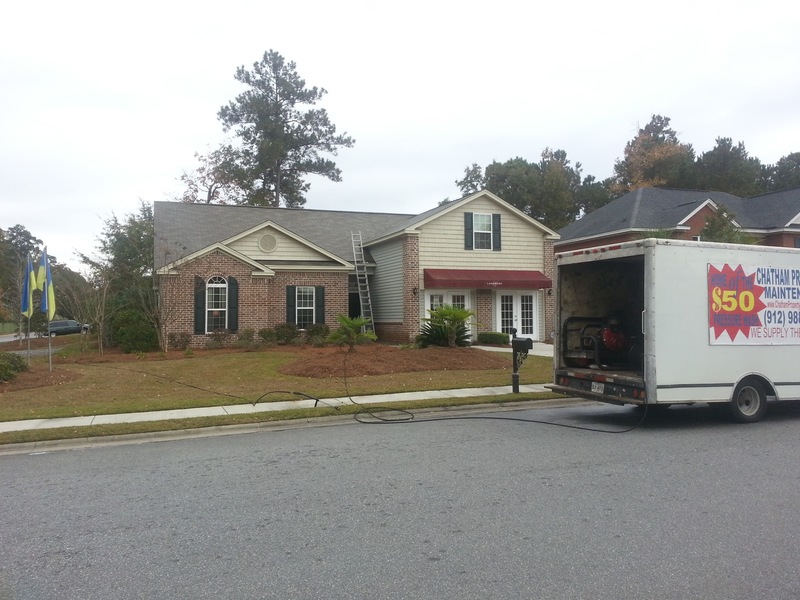 Chatham Property Maintenance offers safe Roof Cleaning Savannah GA to the residents of Savannah, Richmond Hill, Pooler, Rincon, Port Wentworth and Guyton Georgia. 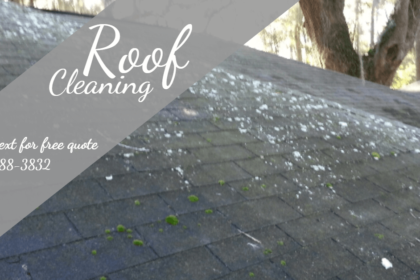 If your roof has moss algae or lichen growing on the shingles, your roof needs to be cleaned using our roof cleaning systems, no damage roof cleaning guarantee. If not your roof will hold moisture and not reflect sunlight as it was designed to do. 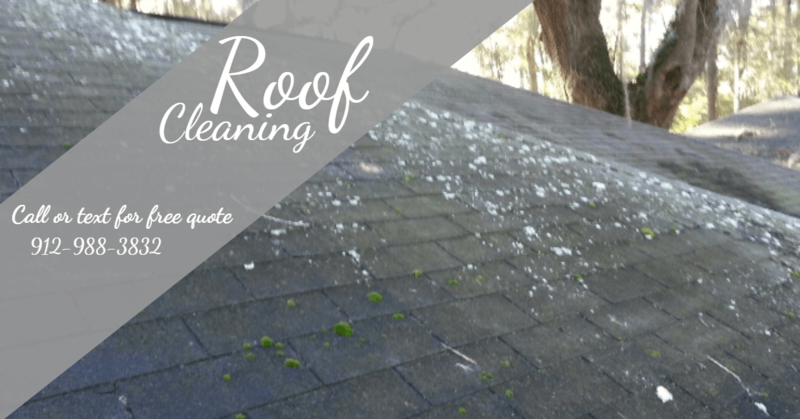 The moss and lichen are living organisms and are eating at your roof shingles, shortening the life of your roof and should be removed immediately. Our roof cleaning chemicals and roof cleaning process are designed to safely clean your roof without the use of pressure washers. 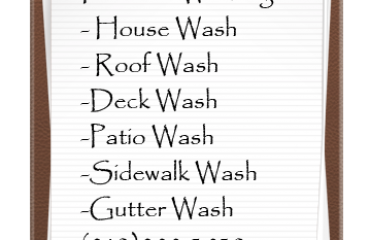 Read our article on Soft Washing vs Pressure Cleaning also Read our article on Understanding Roof Cleaning. 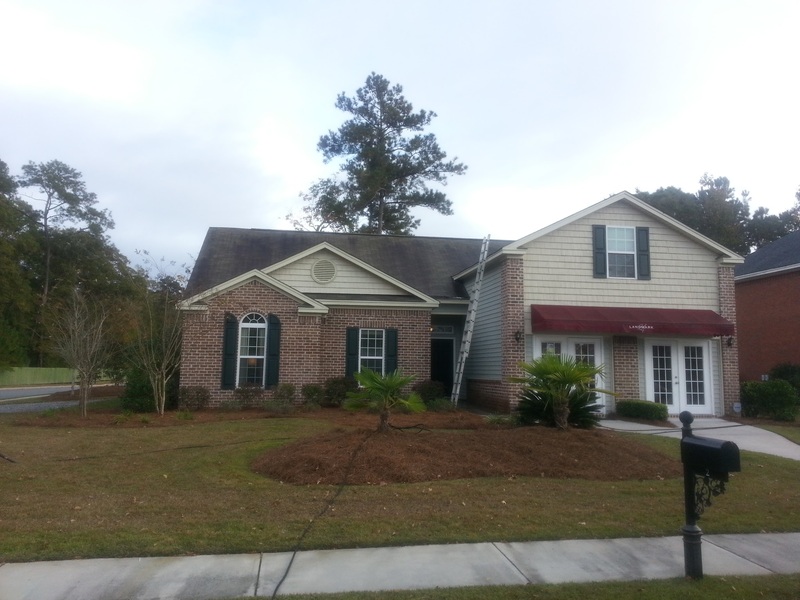 Roof Cleaning Savannah GA by Chatham Property Maintenance use a soft wash method that will rid your roof of the harmful moss and lichen. our process consists of applying a cleaning solution that will kill the moss and lichen immediately. However, since these plants have a root system and attached themselves to the shingles, we cannot scrape or pull off the dead matter because it will remove the granules from the shingle. Instead, we allow the root system to naturally decay and release from the shingle to avoid any damage. 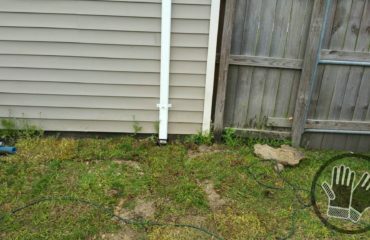 After the moss is killed, it generally takes about 60 days for the roots to become detached and be washed away by rain. After our cleaning process is complete, your shingles will be moss and lichen-free and your roof will return to its original beauty. The ARMA (Asphalt Roof Manufacturing Association) recommended process is the one that we use, which means that we use a No-Pressure Roof Cleaning System to apply the detergents to your roof. We offer an industry leading 5 Year Guarantee when we treat 100% of an affected roof. We have extensive experience with property management groups, HOAs, realtors, and individual homeowners in Georgia and South Carolina.